A kitchen is the heart of the home and often the place where memories are made. It’s important to feel comfortable in your kitchen in order to be inspired to create nourishing meals for both your body and soul. The two most common kitchen issues that usually need correction are lighting features and organizing the space so that it flows. 1- Keep counter-tops free of clutter, pick a wall color that you love, use area rugs for extra leg support, and ensure you have lots of light. 2- Allow as much natural light in as the space allows. Overhead lighting is essential to have even if you aren’t going to use it every day. It’s important to have when you need it. 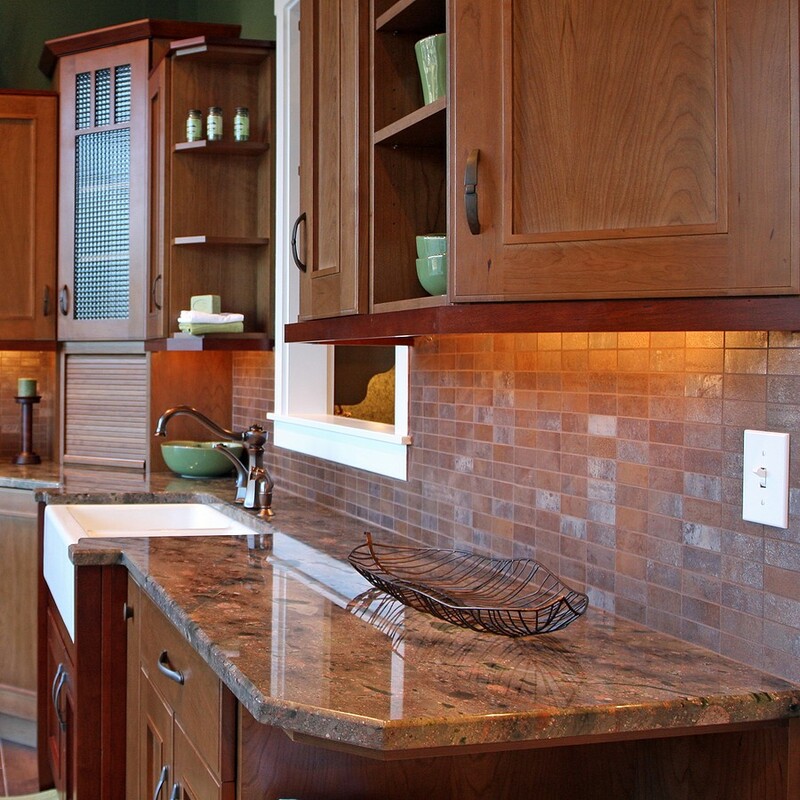 3- Install under-counter halogen lighting to create atmosphere and task lighting. 4- If your sink faces a wall, affix a mirror on the wall to create openness. 5- Granite, quartz and marble counter-tops in warm colors create a more soulful and cozy feeling than cement and stainless steel countertops. 6- Installing a large wood cutting board as part of a counter-top adds warmth and practicality. 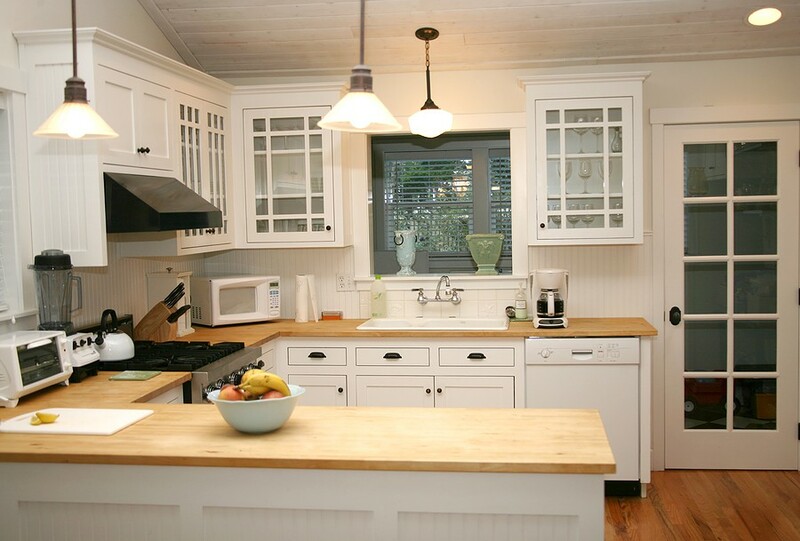 7– If your kitchen is small create space vertically. 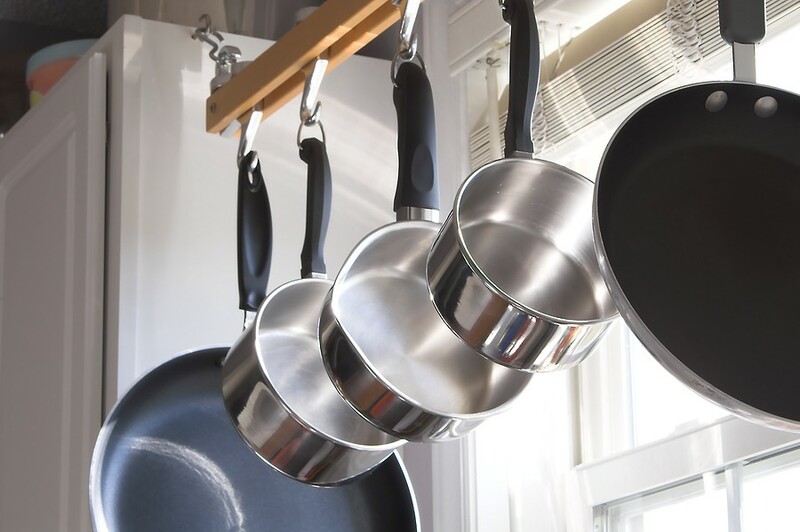 Hang pots and cooking utensils on wall racks or from the ceiling. 8- Use the top of your refrigerator for extra storage but make sure you use attractive containers for your stuff. 9- To instantly update your kitchen, paint the cabinets warm white and add silver-plated cabinet pulls. 10- Stop using counter-tops for a general catch-all. Designate an area for miscellaneous things. 11- It’s best not to have a bathroom adjoining the kitchen but if you do, minimize any negative effects by keeping the bathroom door closed. 12- Silk plants placed on cabinet-tops create an outdated and impersonal feeling. Instead, place personal items that you love like ceramics and cookbooks. This entry was posted in Uncategorized and tagged feng shui, Home Improvement, Kitchen Decorating, Kitchen Feng Shui. Bookmark the permalink. http://www.featuredkitchenandbath.com or find and friend us on Facebook.